So you’re choosing to travel to Gyumri, huh? Maybe you’ve heard about the city’s rich history and vibrant culture? Or perhaps you want to experience firsthand the celebrated city of arts and the famous humor of its inhabitants? 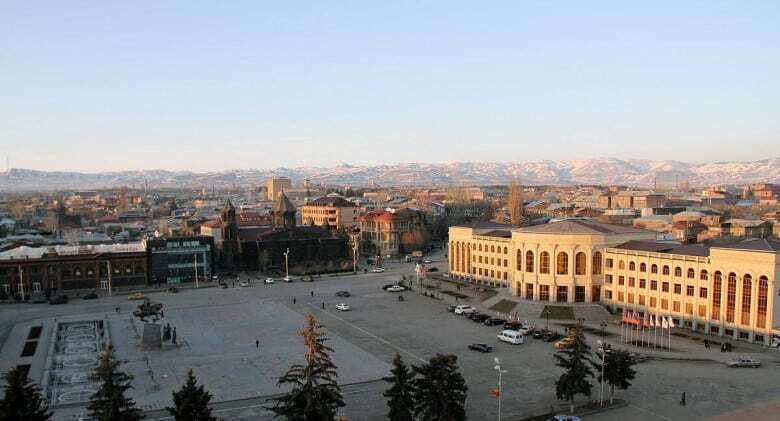 Situated in the northwest, Gyumri is the capital of the Shirak region and the second largest city in Armenia. In ancient times, it was a trade crossroad for many different nations. 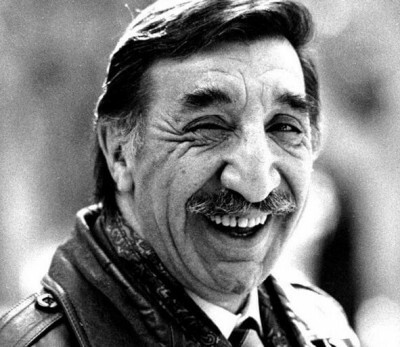 It’s produced the likes of Hovhannes Shiraz, Avetik Isahakyan, and the beloved actor Mher “Frunzik” Mkrtchyan. 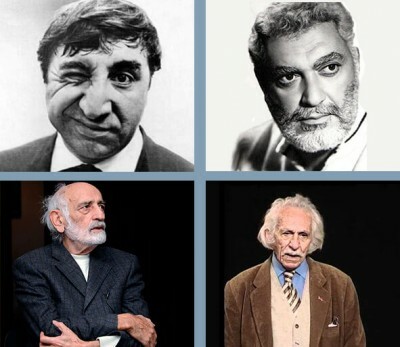 The first opera theatre in Armenia was opened in Gyumri, and it’s renowned for craftsmanship and mastery. The city’s resilient history is steeped in music, art, and merriment. Yet walk the streets and see the remaining aftershocks of the ‘88 Spitak earthquake -- and just how far Gyumri’s come. Arrived in Gyumri, have you? Ready to venture into the city’s depths and learn its secrets and mysteries? Walk the streets and marvel? Well, all roads lead to . . . the central town square, no? Gyumri’s happens to be named after the heroic Vartan Mamikonian, Armenia’s revered military leader, martyr, and saint of the Armenian Church. 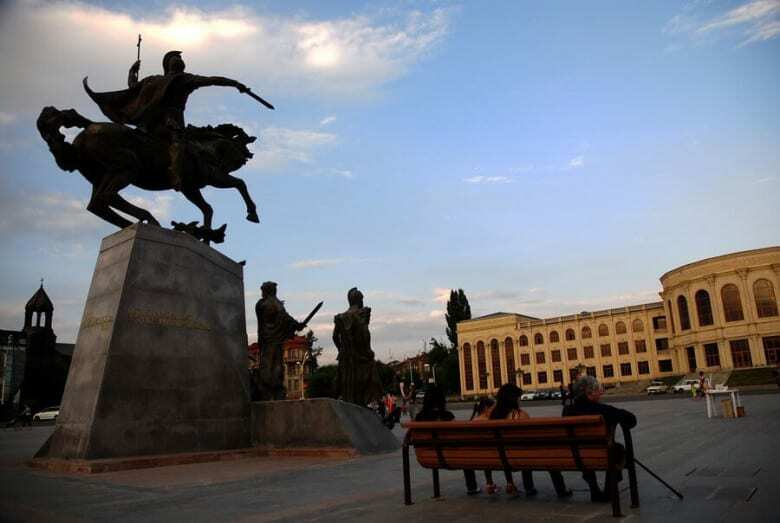 The focal point of Vardanants Square is a colossal bronze statue of Mamikonian riding equestrian, sword, and cross in hand. The memorial also has four other larger-than-life statues depicting Catholicos Hovsep I of Armenia, Ghevond Yerets, Sahakanoush Mamikonian (his mother), and the prince Arshavir ll of Kamsarakan. The Gyumri City Hall flanks the east side. Two 19th-century churches mark the north and south nodes of the town square. The Church of the Holy Saviour, a perfect (and larger!) 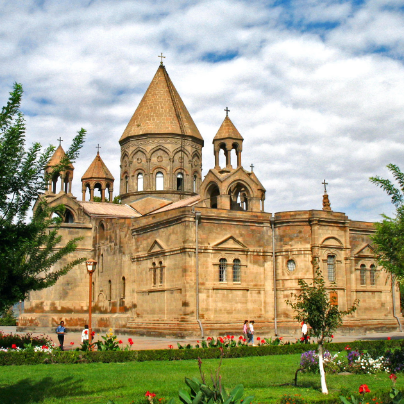 replica of the Cathedral of Ani is on the southern side. The Cathedral of the Holy Mother of God, also known as the Our Lady of the Seven Wounds, borders the north. After the catastrophic 1988 earthquake, the church’s two minor domes fell, and are now displayed in front. 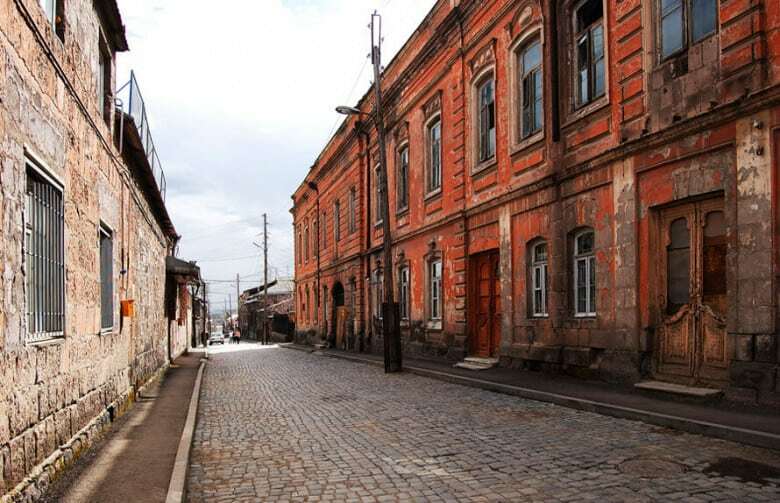 Curious about how Gyumri used to look in days of past? Right next to the central part of the city, you can find the oldest parts of Gyumri. The Kumayri historic district was accepted as part of the World Monuments Fund in 2008 but has been around much, much longer. 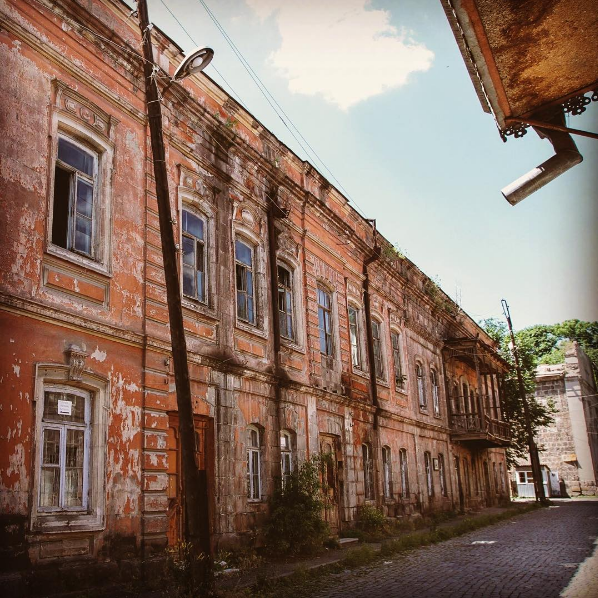 The district features the historic architecture and cobblestone streets of the 18th and 19th centuries -- back when Gyumri was known as Alexandrapol! Large Neoclassical buildings made of indigenous Armenian red and black tuff span the sprawling boulevards. With their charcoal-colored stones, elegant iron-made adornments, and enormous wooden doors, the buildings express an air of elderly wisdom. Stately archways curve around the doors and windows, and the houses themselves have patterns from the Armenian khachkar. You feel transported to a completely different era walking in Kumayri. One of the horse-drawn carriages, imperial mustaches, and teeming fruit stalls on the streets. A place where you could hear the sound of schoolchildren playing in the town square overlapped with the gurgling of the fountains. 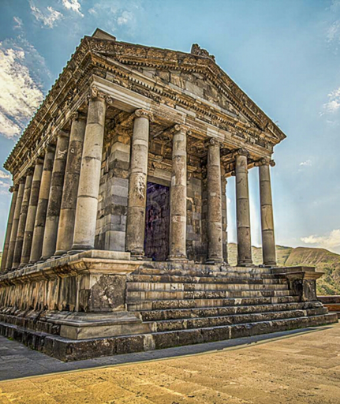 In fact, the district is one of the only places in the entire country with authentic Armenian architecture! Also known as Gorki Park, you can find Central Park right up to the street from Vardanants square. It’s filled with tons of statues, monuments, and little nooks to sit in. Perfect for a stroll, a picnic, or even just people-watching! Buy a handful of sunflower seeds, or some cotton candy and relive your childhood for a moment! The shining star of this park, however, is definitely the Soviet-era Ferris wheel. For a mere 100AMD, you can ride to the top and see the entirety of Gyumri spread out beneath you. 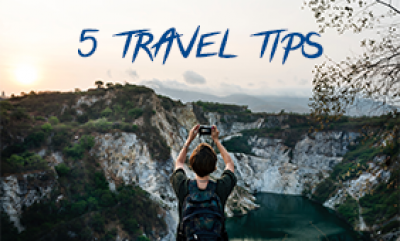 Enjoy the breathtaking mountain scenery and the opportunity to count all the churches. 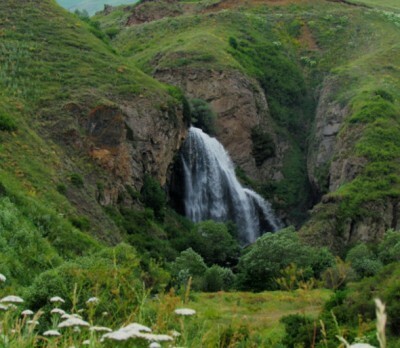 Bask in the clean, fresh air and admire Mayr Hayastan (Mother Armenia) from afar! At the westernmost part of the city, you can find the monument of Mother Armenia. Roughly 8 km (5 miles) from the Turkish border, her erect figure stands tall, proud, and stoic. The statue’s cast in bronze and personifies the unwavering strength of the Armenian people. She’s depicted holding stalks of wheat in her arms, a symbol of the country’s devout Christianity. Yet, once you walk to the side facing Turkey, a vicious dragon suddenly appears! 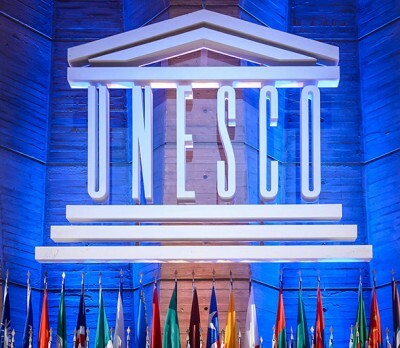 Ready to learn about the illustrious history of this city? A place first settled in the 5th century B.C.? Then, without a doubt, make sure to visit Gyumri’s Museum of National Architecture and Urban Life. Up for a challenge? Consider calling it by the name of its first owners, the Dzitoghtsyan’s! 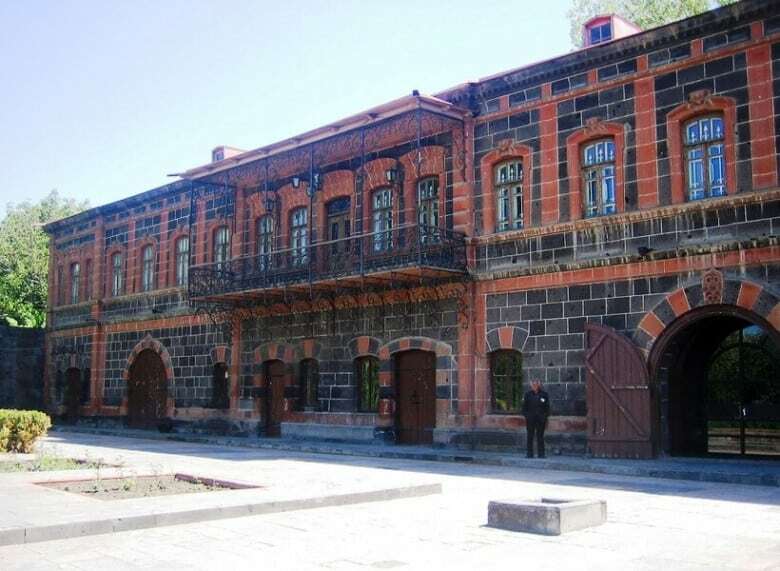 The celebrated mansion-turned-museum was built in 1872 by the merchant and trader Petros Dzitoghtsyan. His three brothers helped him turn (the then-called) Alexandrapol into a powerful cultural and economic hub. The museum presents displays on woodworking, blacksmithing, tinwork, lace and embroidery, hatmaking, shoemaking, and silversmithing. All the traditional trades and crafts of Gyumri are present, making it an absolute must-see! You can find an entire room of gorgeously displayed handmade Armenian rugs, and even the woodwork of the museum itself is spectacular! Hungry yet? 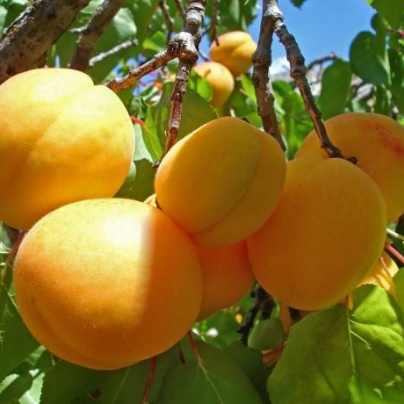 Interested in tasting the freshest food Gyumri has to offer, which you can handpick yourself? 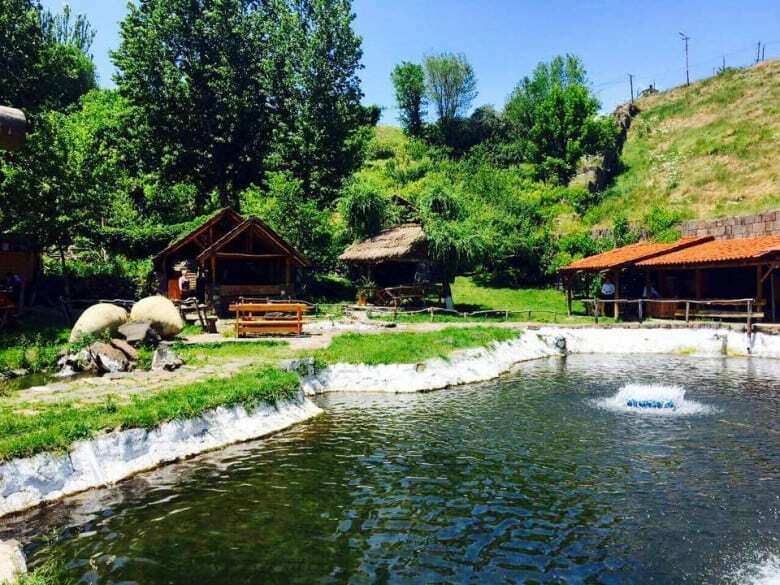 At Cherkezi Dzor - also called the Fish Farm - you can choose from four different types of trout (and a rare type of Siberian sturgeon)! The catch? You can fish for them yourself! The restaurant has several tonir, which are traditional Armenian ovens made of clay. They’re used to bake crisp lavash and bread, as well as cook the fish straight from the water! Cherkezi Dzor’s open pavilions and stunning outdoor foliage make it an excellent summer and autumn choice. You feel like you’re dining open air in a forest clearing, with the sound of rushing water surrounding you! Inversely, it's wooden indoors strike a charming coziness with the winter snow. The expansive inside is decorated with magnificent Armenian rugs, hanging dried herbs, and many a clay karas (historic Armenian pots used to store food and wine). Arguably the most loved restaurant in Gyumri, Poloz Mukuch can be found in the Kumayri historic district. 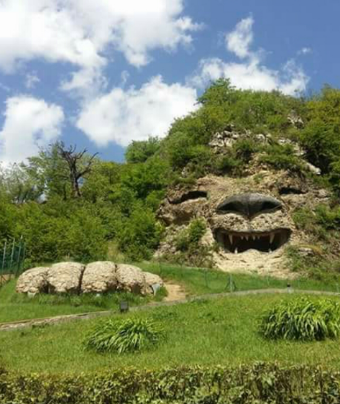 Perhaps you’ve heard of the legendary Gyumretsi humor and good cheer? Well, Poloz Mukuch just happens to be the forefather of the tradition! 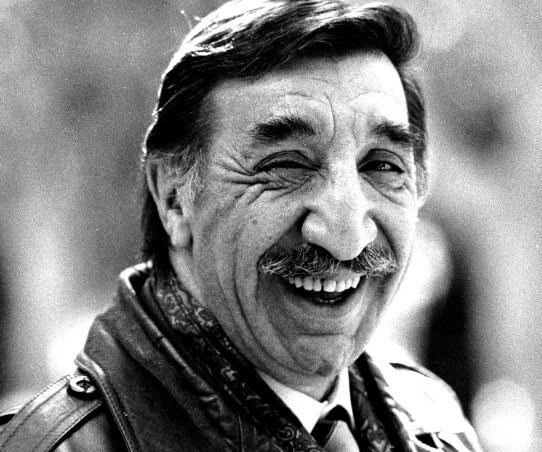 His stories and jokes have become fully integrated into the very heart of the city. Go to Poloz Mukuch for some homemade khash and vodka, or the celebrated Armenian Ishkhan fish. And don’t forget to ask for a Poloz Mukuch anecdote! Right across the street, you can find the famous Gyumri Brewery. During the ‘80’s, a pipe connected to Poloz Mukuch, which delivered beer on tap. You can still find the delicious Gyumri beer at the restaurant if you ask! With its beautiful black tuff, the brewery is located on Jivani street. Tourists are welcome to have beer tastings, as well as try beer in different stages of production. A required stop for any foodie, or lover of beer! 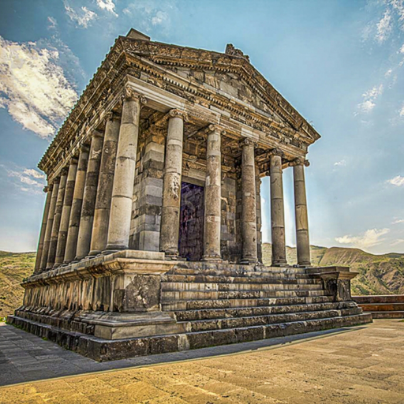 Tours in Armenia. 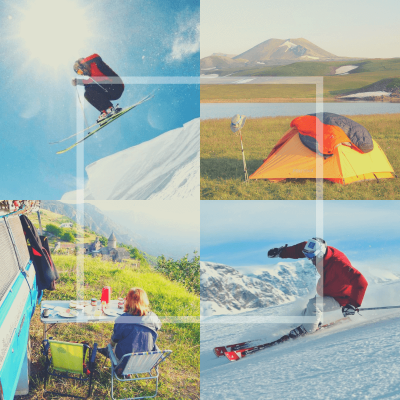 What can we offer for active and passive rest lovers?